According to the latest report by Strategy Analytics, the mobile industry sold about 700 million smartphones throughout 2012. As you can imagine, most of those, and by most we mean 68.4%, were Android-powered handsets. What about the rest? Well, iOS managed to take most of what's left with 19.4%, and the remaining 12.2% were shared between all the other mobile operating systems. As you can imagine, Apple and Samsung have remained the top smartphone manufacturers of the world in 2012, both selling hundreds of millions of handsets. Of course, what's important is not the volume, but the revenue, and in this respect it is once again Apple and Samsung who are way ahead of the others. Interestingly, the mobile industry is starting to look more and more like a two-horse race, but not between Apple and Google, but between Apple and Samsung, because even Google isn't making as much from Android as does Samsung. These latest statistics by Strategy Analytics also show that 2012 has been a year of a subtle slow-down for the growth of the mobile industry. While overall smartphone shipments grew by 64% in 2011, this percentage for 2012 was "just" 43. With such awesome handsets in store for us in 2013, though, we wouldn't be too worried about the future of the industry. This makes me all warm and fuzzy. When you have the OS spread on thousands of devices across the world, it's not hard for the figures to be somewhat more inflated. In terms of profit, I don't think it'll match the statistics in the article. Everywhere outside the US the iPhone has been getting twamped senseless by android. You maybe right the the profit stats would be different but that's because apple are quite uniquely blood thirsty for gouging profits from Ifans who as we have seen are quite willing to even sell internal organs to buy literally the same apple device over and over. Yes, you are correct. But it is not because Android devices are better than iPhone. It is simply because of the price. In my area people can buy S3 for $495, but iPhone will cost $790. Who cares about profit? Do you work for APPLE? I care about getting a good smartphone...iPhone is ok....but overpriced...I esp. dislike paying so much extra, or would, if I bought it, for the different amounts of memory storage. I didnt know apple profit was a metric a user should be worried about that doesnt own apple stock. Otherwise that just means YOU ARE PAYING MORE AND GETTING LESS. Way to brag about that troll. 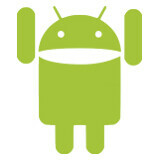 Go android! This is what happens when you have variety of phones to choose from! Makes sense that an OEM would make more than the company that gives the OS out for free (not counting fees and whatnot). Android has been extremely good for Google, despite that. Linux is starting to win on all fronts. I'm waiting for a Motorola Nexus then that might take a shift from Samsung v. Apple. Simply ungodly. And the only other OS to do that in recent times is Windows. "As you can imagine, Apple and Samsung have remained the top smartphone manufacturers of the world in 2012".... No Ray, Samsung remains the top manufacturer of 2012! Old news posted on a daily basis. 12% for other os ... Ubuntu, Tizen, sailfish coming and this could increase further. Ubuntu is already a known name amongst ~20 million+ users of Ubuntu on desktop.